On the last Friday of each month, thousands of cyclists make their presence felt. 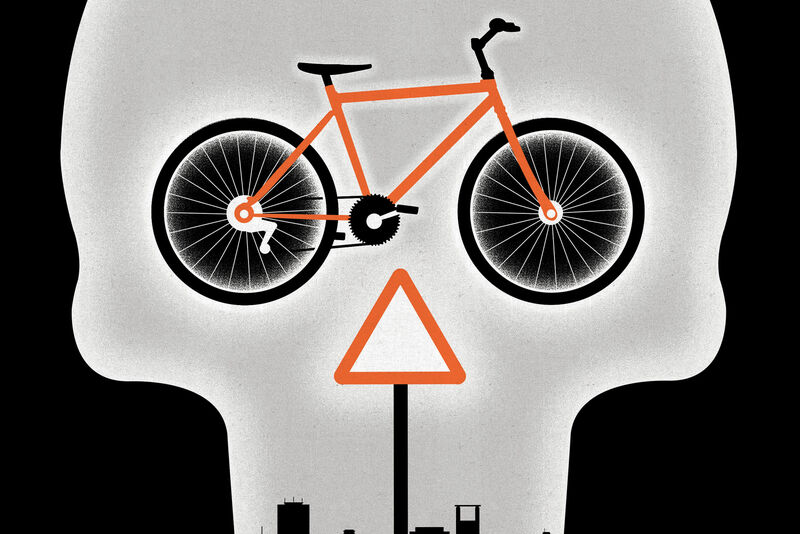 But what is Critical Mass, exactly, and what is its goal? 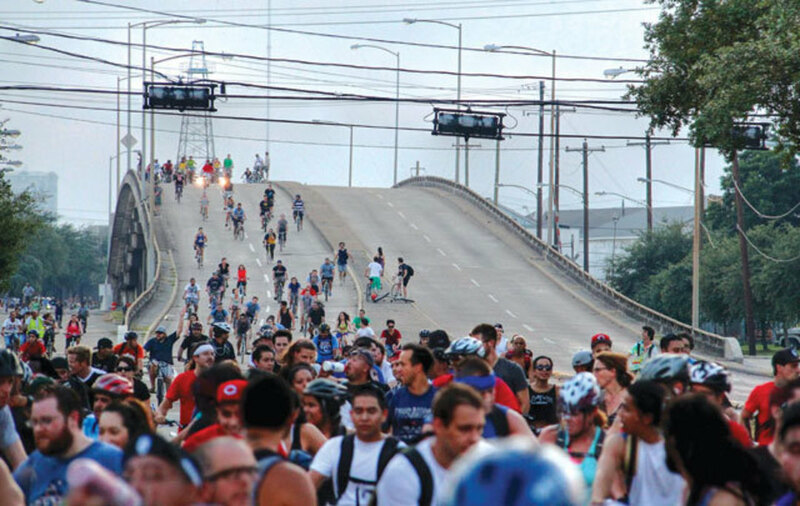 Houston Critical Mass takes over a railroad pass at Navigation Blvd. On the last Friday of each month, in the evening, 1,500 or so Houstonians mount their bicycles, depart Market Square, and begin snaking their way through the inner city, attracting civilian ire seemingly everywhere they go. Complaints about the riders include but are not limited to: snotty attitudes, petty law-breaking, a persistent scent of beer fumes, infrequent clouds of marijuana smoke, riders slapping hoods, riders insulting motorists, and riders flipping off motorists. Still, you get the sense that all might be forgiven but one for one thing, one unforgivable infraction that has spelled doom for the group known as Critical Mass in the public’s mind, a mind that increasingly prefers to call them Massholes. It isn’t easy to keep a motley crew of cyclists together during the course of the group’s two- to three-hour rides, and in fact it would be impossible without something called corking, a technique wherein a few lead cyclists hop off their bikes and halt oncoming cars at traffic lights. In consequence, intersections can be shut down for upwards of 10 to 30 minutes—or what is known in Houston as an eternity. One doesn’t tempt fate with motorists over something so jejune as a merry mass bike jaunt. Drivers seethe with anger as green lights come and go and partying cyclists glide past, the wait growing ever more agonizing as the group’s membership expands. And the Massers’ most vocal opponents are probably not the Hummer-loving Houstonians you’d expect. DeWitt “Dee” Gravink, an actor and producer at cutting-edge Catastrophic Theatre, was galvanized against the group after a CM-induced traffic snarl caused him to hold the curtain for one of his plays. “I am pro-bike, but a bunch of drunks riding around shooting the finger at people doesn’t exactly help the cause,” he says. Last October, Gravink started an online petition calling the ride “a public menace” and its participants “adult children” engaging in “selfish, childish, irresponsible, dangerous behavior on our city streets.” The petition, which has drawn the support of several prominent members of the thespian set, urges HPD to stamp out CM before a rider is injured or killed by an errant driver or someone dies in an ambulance while stuck at an intersection. Houston’s Critical Mass chapter is part of a worldwide movement of 300 chapters that was born in San Francisco in 1992 and arrived here around 2001, according to CM veteran Kyle Nielsen’s best guess. 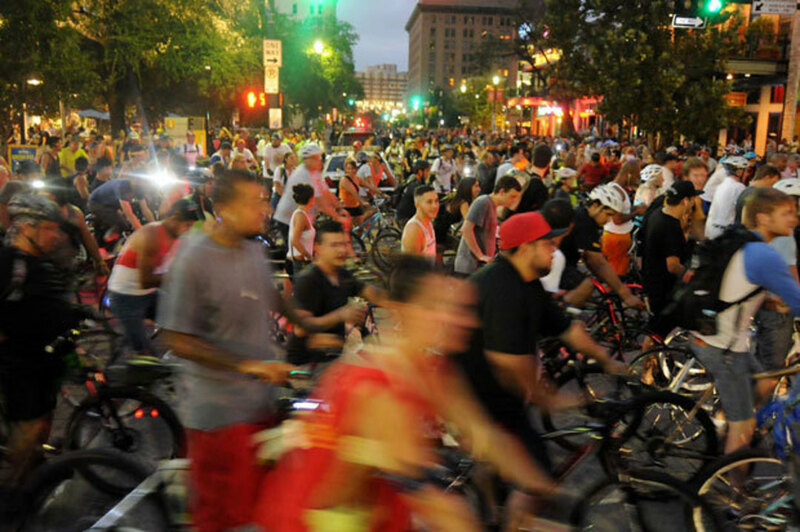 Back in 2009, a Friday-night ride was considered a success if it attracted 500 cyclists. 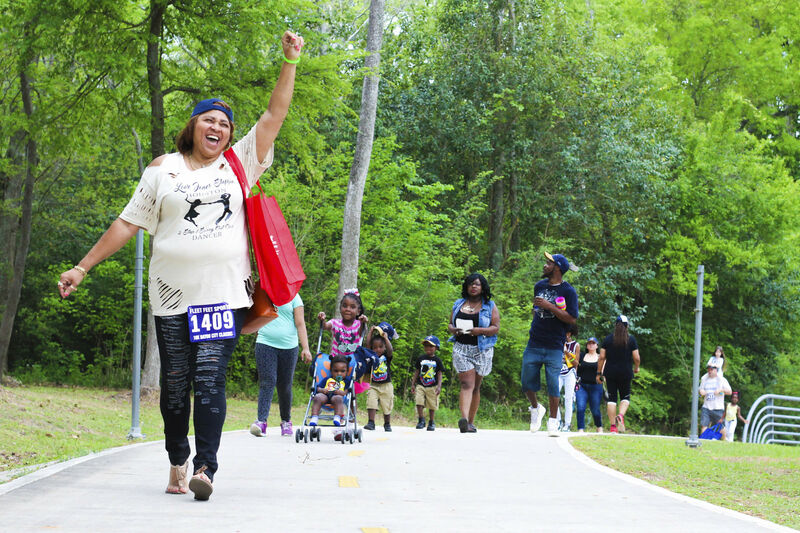 Today, the Houston CM Facebook page boasts more than 9,500 subscribers, about a fifth of whom participate regularly in the group’s rides. Officially leaderless (and vehemently so), CM uses a different route each month, which is always a closely guarded secret. Massers are notoriously leery of the media, and Nielsen would agree only to an e-mail interview with Houstonia, one in which he acknowledged a certain “hooligan element” to the group before quickly adding that America is a free country, and as such CM cannot prevent rabble-rousers from riding along. The group does tend to shun such malcontents, however, he says. For his part, Gravink believes that the $15 million earmarked for cycling improvements—announced last year by Mayor Parker’s office—is sufficient. Just when it seemed the situation might boil over, there was October’s ride, only days after Gravink started his petition. Around 2,000 riders participated, and the evening proved surprisingly uneventful. Nielsen says that’s because the City of Houston reached out to the group; in addition, some of the more levelheaded riders negotiated with HPD, sharing advance details of their route in exchange for officers being stationed at major intersections. “I think most of our riders knew that it was getting big enough where there were going to have to be some compromises,” he writes. 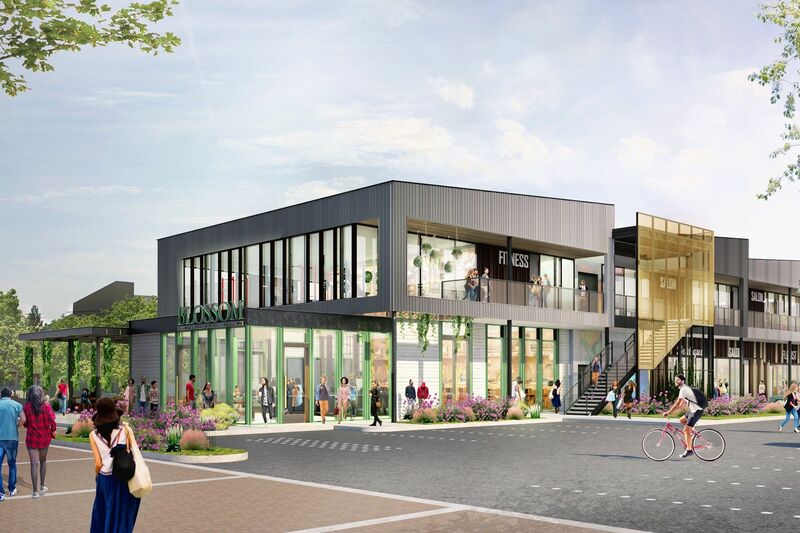 Given that level of cooperation, you have to wonder if Houston’s Critical Mass is approaching Nielsen’s stated goal for the group—that it follow in the footsteps of the organization’s chapter in hyper-bike-friendly Portland, Oregon. In 2007, he says, CM Portland declared its mission fulfilled, and disbanded.